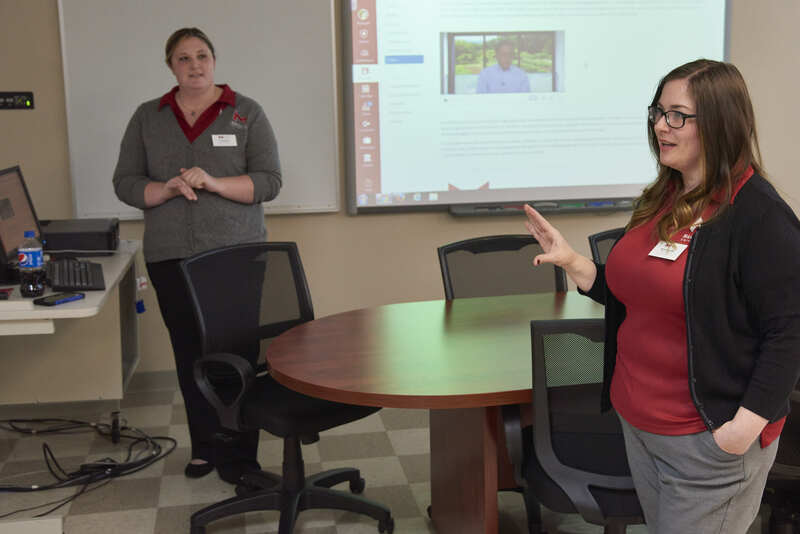 In February, the School of Adult & Online Education (SAOE), Center for Teaching & Learning (CTL), and the Office of Strategic Information (OSI) held an open house. 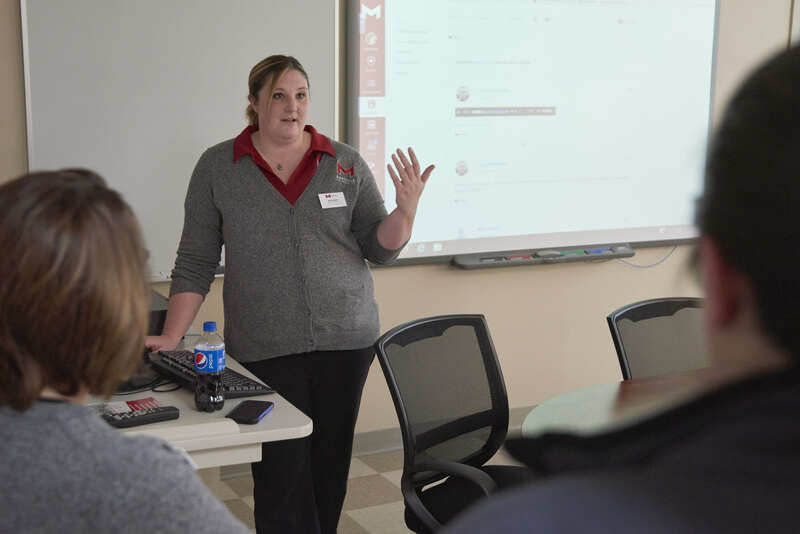 The open house gave faculty and staff the opportunity to learn about what our team is working on with video production, online course design, advanced data visualization, and learning technologies supporting the university. 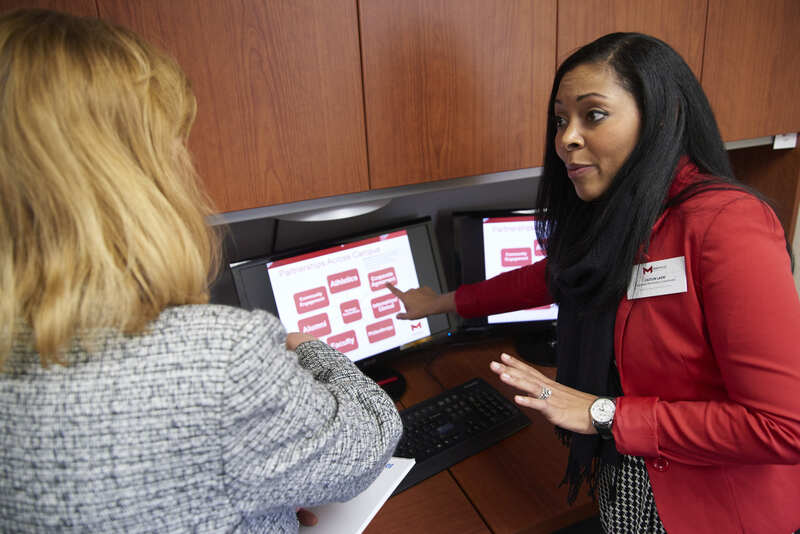 In addition, the SAOE admission and advising team talked about how they partner with non-traditional, weekend and evening, and online students. 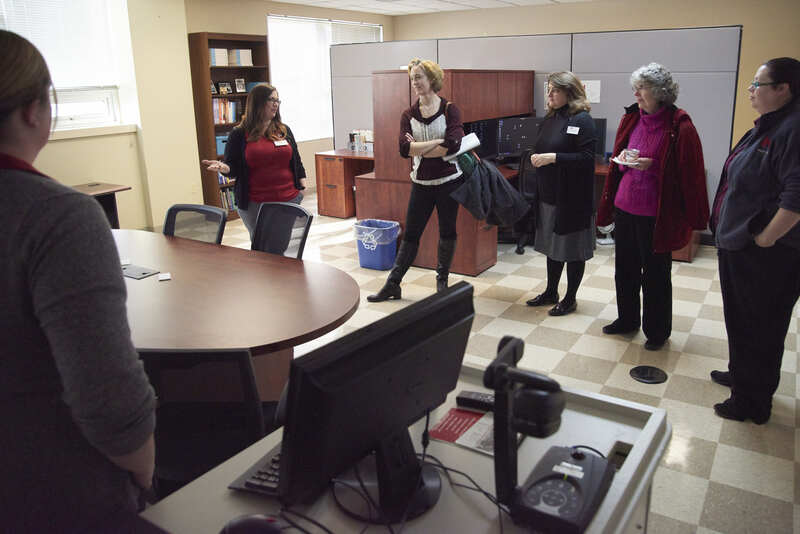 Tours were also given of our video, design, and learning studios. 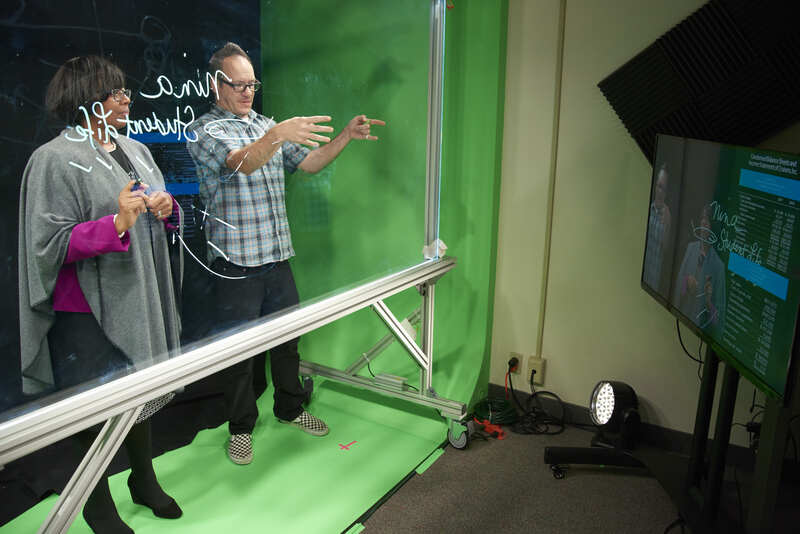 Attendees enjoyed trying out the light board in the video studio and watching a demonstration of the 3D printer in the learning studio. 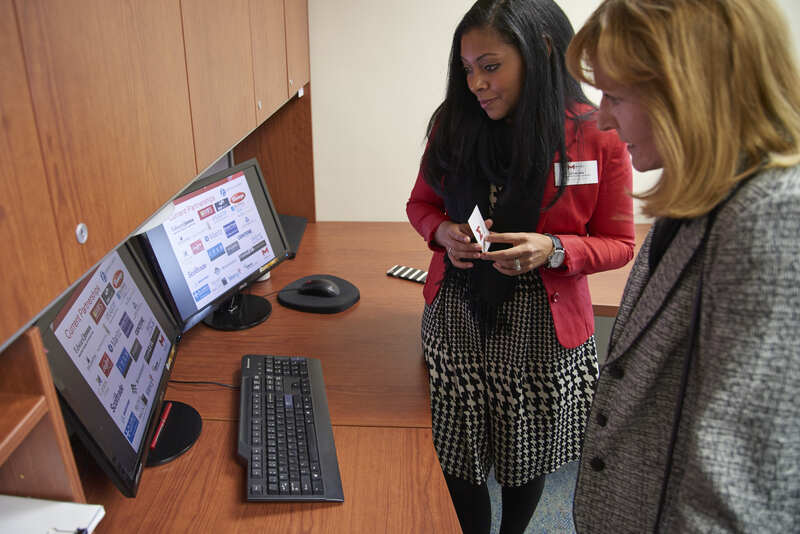 We were very excited to showcase the learning studio. 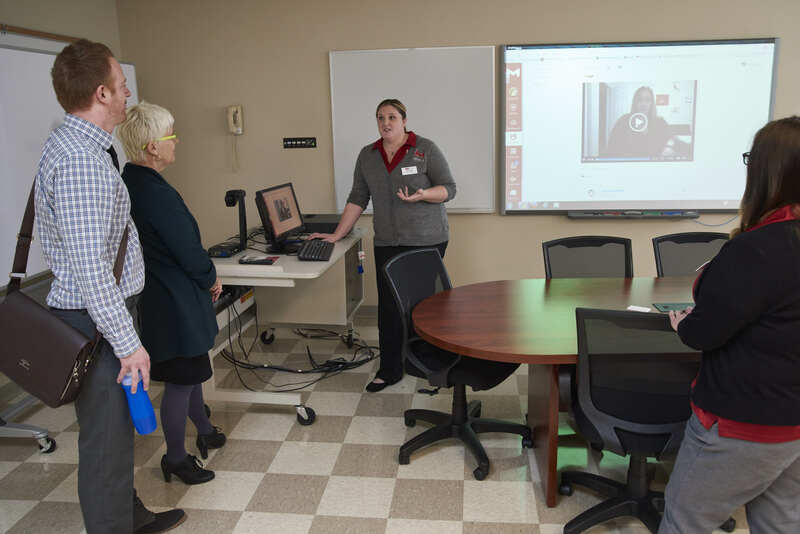 This professional development space in Gander 262 is used by the Learning Design and Technology (LDT) and CTL teams for workshops. 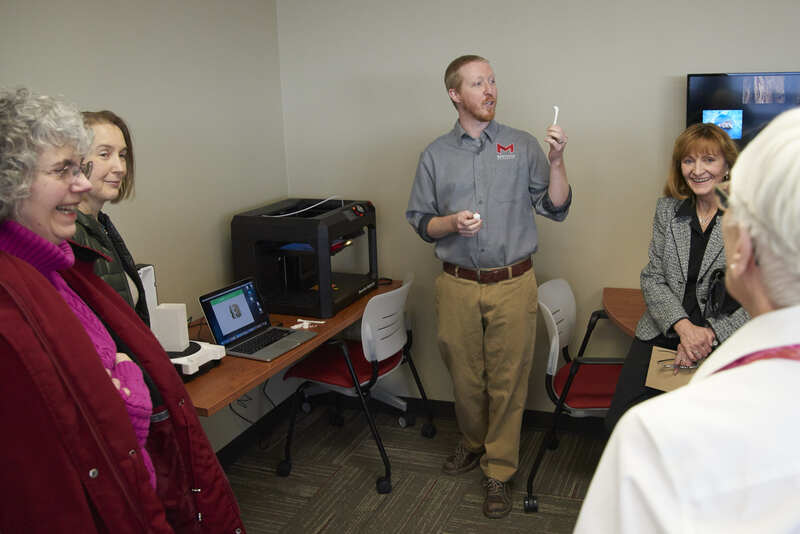 In addition to the 3D printer, there are workstations available for faculty to work on Canvas courses, participate in one-on-one consultations with the LDT team, or test out a new technology. Stay tuned as we add more technology to the space and watch for work workshops on existing and new technology available to you on campus. If you’d like to inquire about reserving Gander 262 for a class, please email LDT. 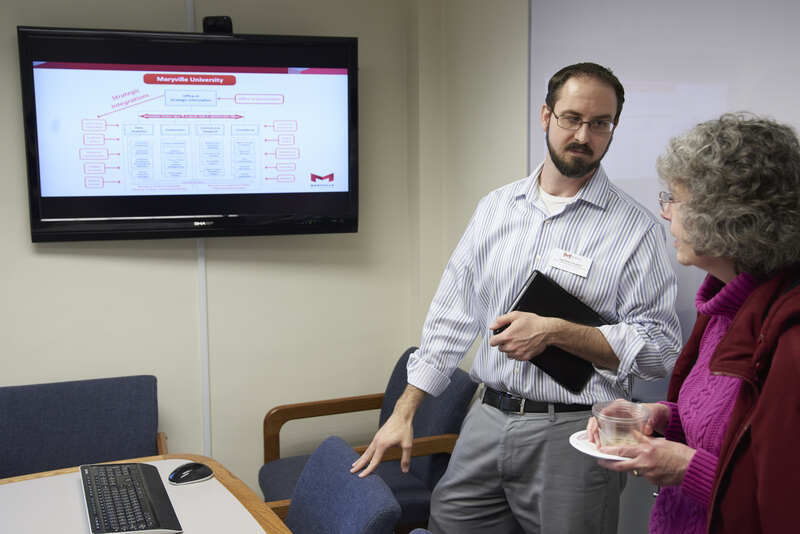 Take a look at the photo gallery from the open house. We had a great time hosting our colleagues. 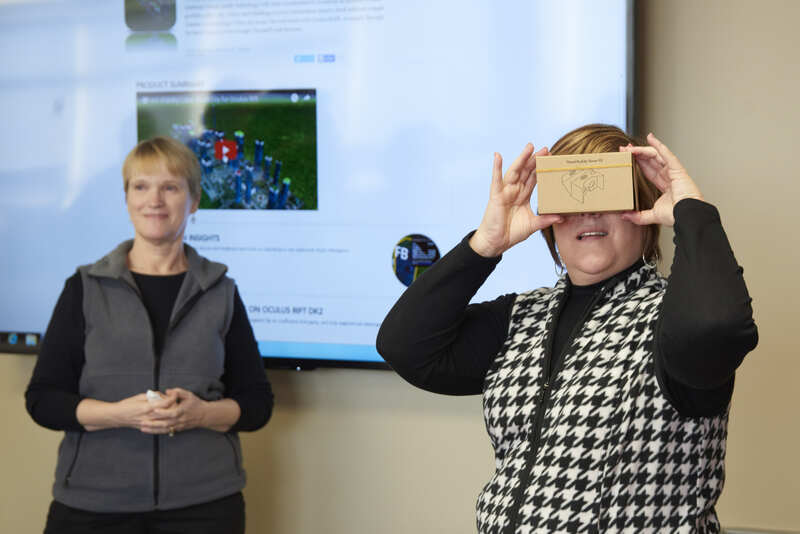 Stefanie Trollope taking a turn with the Google Cardboard as Sam Harris discusses using virtual reality in the classroom. 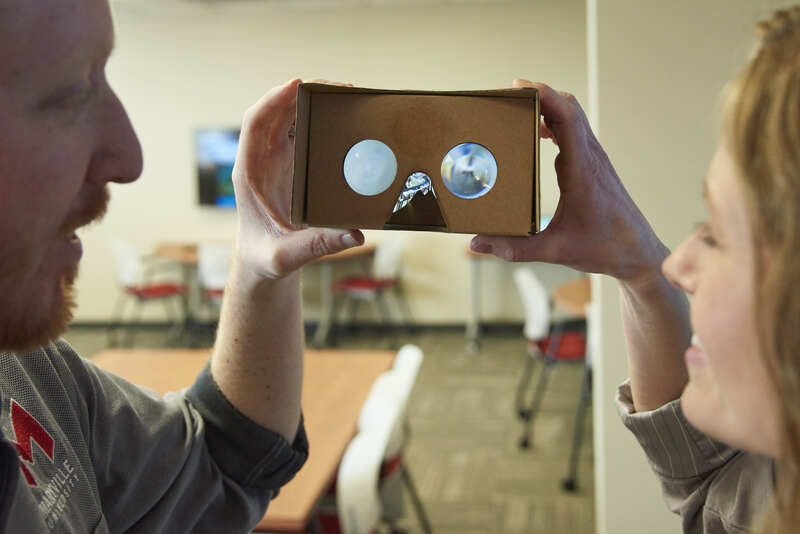 A peek inside the Google Cardboard. 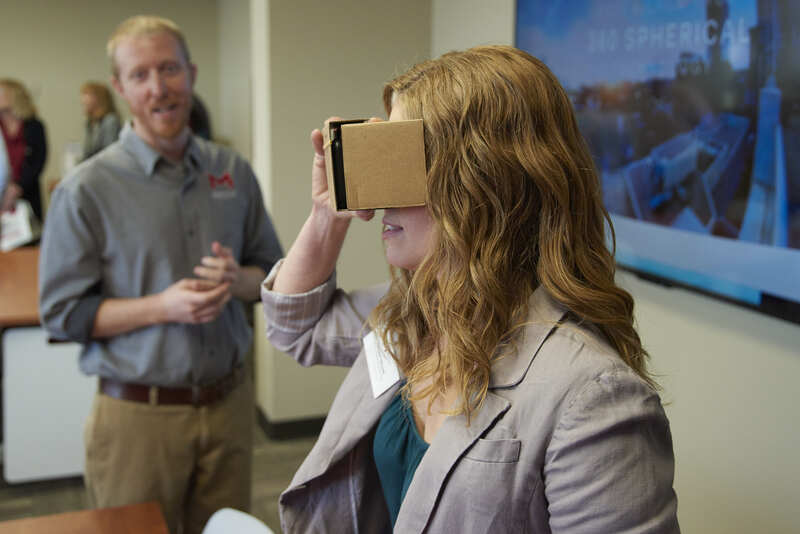 Checking out the Google Cardboard. 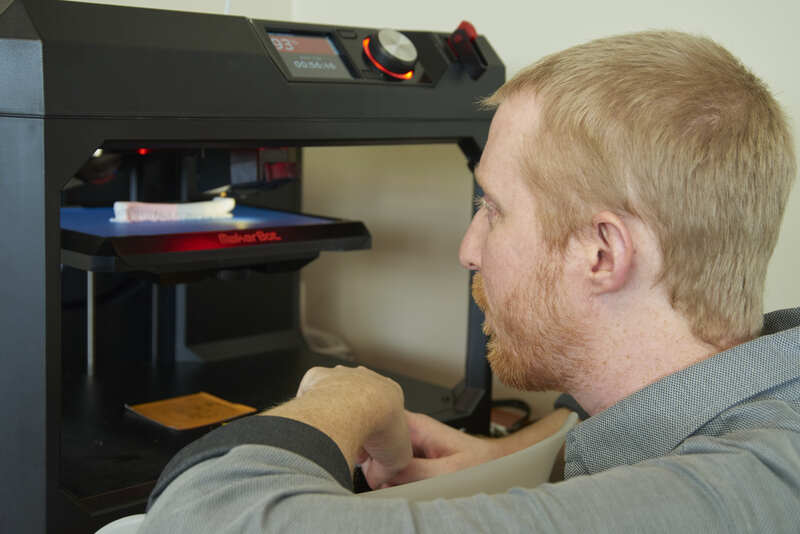 A discussion on using 3D printing in teaching and learning. 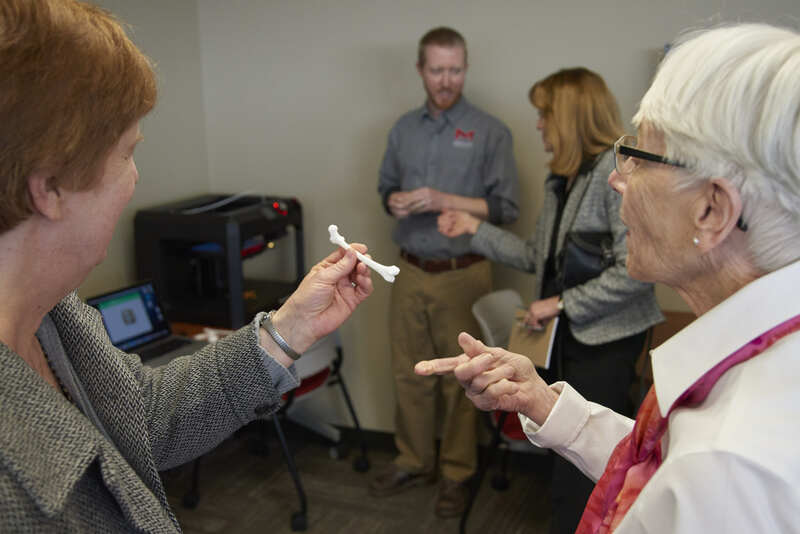 Checking out the bone replica printed from the MakerBot 3D printer located in Gander 262. Sam Harris checking out the MakerBot printing a sample. Janet Roberts discussing online courses in the design studio. More discussions in the design studio about online courses. 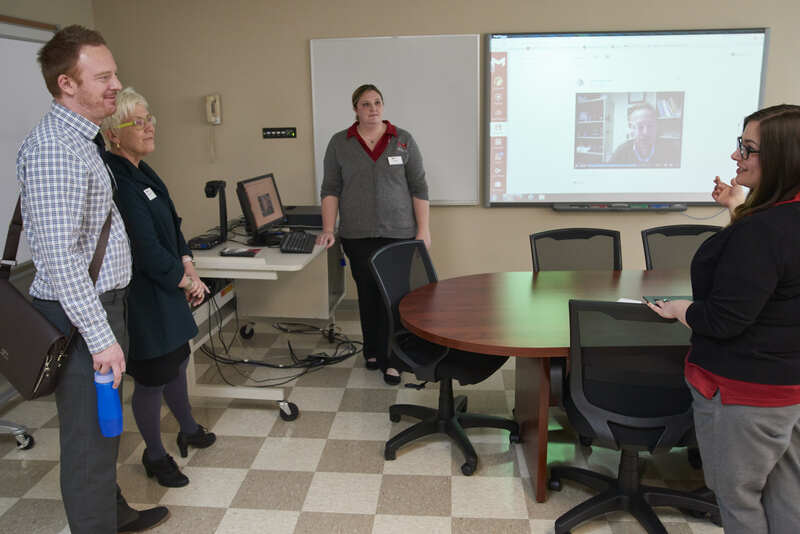 A demonstration of technology for faculty at Maryville University on February 17, 2016. Caitlin Ladd discussing Maryville corporate partnerships. Jonathan Schlereth discussing data analytics. 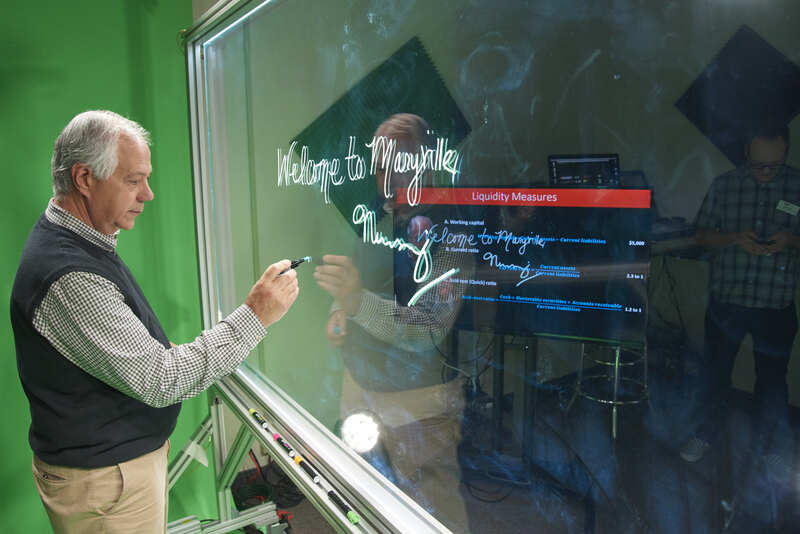 Dan Viele, Dean of the SAOE, leaving his mark on the light board in the video studio. The “other side” of the light board with Tom James, Studio Manager. 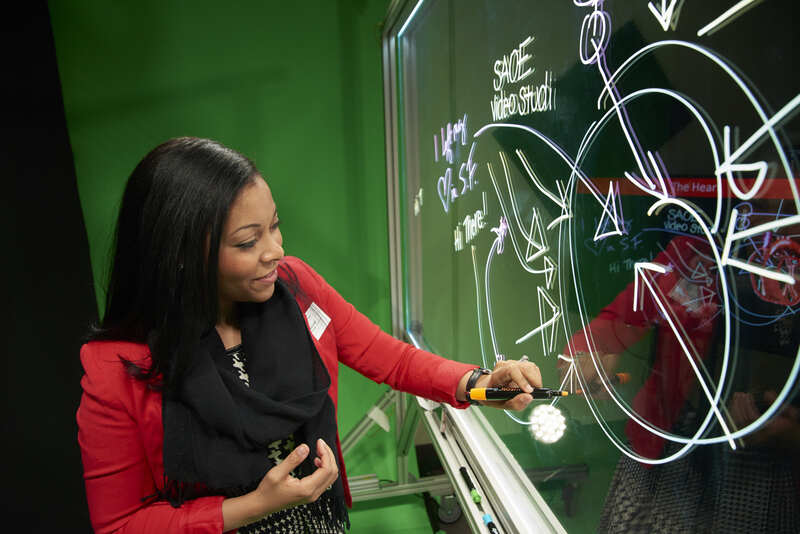 Caitlin Ladd enjoying her time with the light board in the video studio. Caitlin Ladd trying out the light board in the video studio. 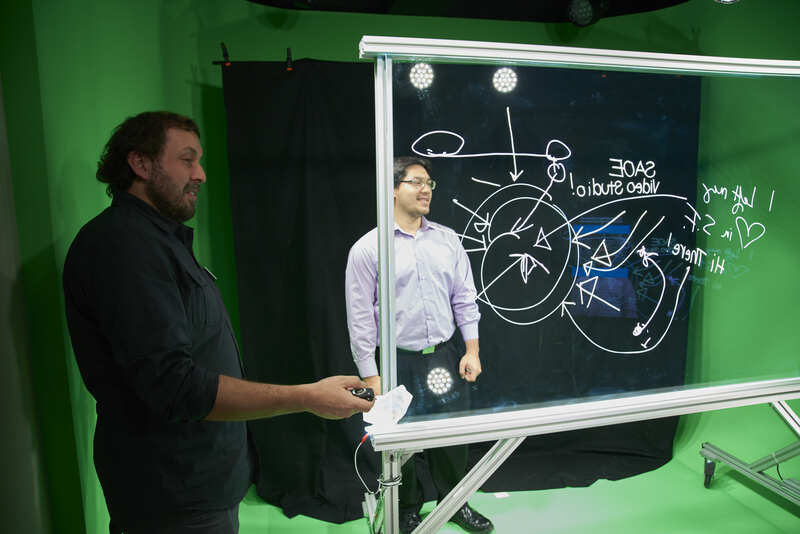 Tom James showing off the light board in the video studio. 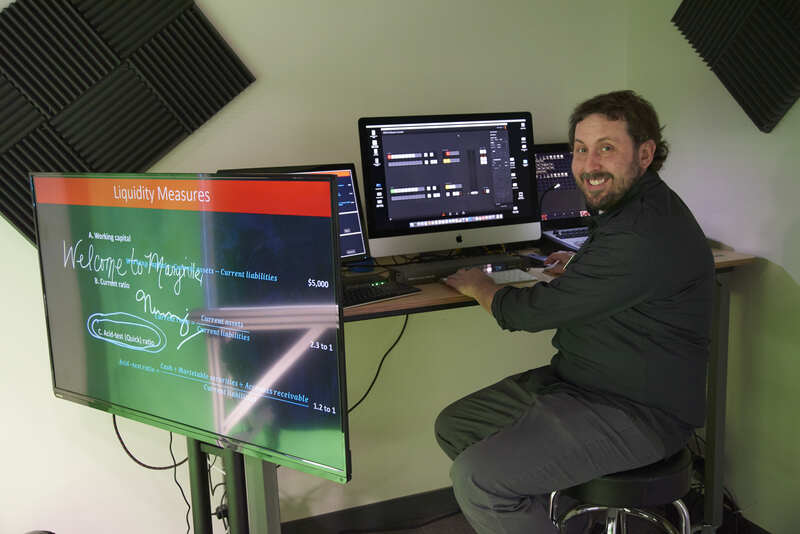 Brian Merkel demonstrating how the light board in the video studio works. This entry was posted in Events and tagged CTL, demo, Events, Gander 262, photo, SAOE by . Bookmark the permalink.